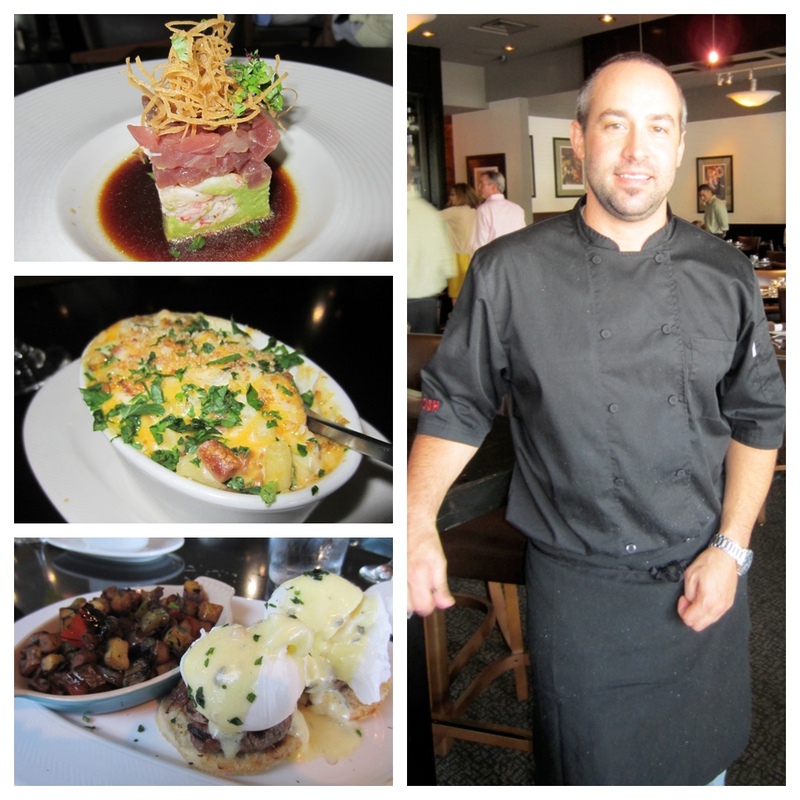 Award winning Chef Avner Samuel is the creative mind behind NOSH euro bistro and bar. The stylish eatery is located in the space formerly occupied by his ultra lavish Aurora. The expanded space includes a full bar, additional seating areas and a food bar that has been incorporated into the open kitchen. The menu features casual European/Mediterranean inspired fare. Carrie Keep, a chef at Nosh Euro Bistro, has had them in the news of late with her appearance as a contestant on Season Nine of Hell's Kitchen, which premiered on Fox this past July 18. NOSH is creating a new ripple in the media buzz pond with the introduction of their new brunch service on Sundays from 11:00 AM to 3:00 PM. They've kept the best dishes from their lunch menu and added new brunchy-type items to appeal to late morning diners like myself. 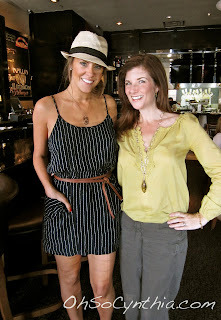 They asked me if I'd like to come in and try their new brunch menu so I grabbed gal pal, Courtney Kerr from Bravo TV's Most Eligible Dallas, and we headed over last Sunday to dine and dish. Brunch items on the menu include Roasted White Corn Pancakes, Buttermilk Fried Chicken and Biscuits, Spanish Chorizo Hash, Beef Tenderloin Benedict (pictured above)and a "Traditional" Benedict, along with other more lunchy-type entrees like a Kobe Burger, Seared Diver Scallops, Crispy Duck Confit and Grilled Ahi Tuna. Courtney and I agreed that the absolute best thing we tried was the Tartare of Ahi Tuna appetizer. It simply melted in your mouth with an explosion of flavors and spices. Unbelievable. NOSH is also serving bottomless Mimosas and Sangria for $7. Some food is meant to be eaten with your hands. Period. The dessert menu did not overly excite me, until Stevens casually mentioned an off-the-brunch-menu special he could make us that was a bananas foster bread pudding. Screech! Stop the car, back it up and say what?! It was possibly the best thing I've put in my mouth all week and almost eclipsed the meal. Go in. Order it. You will thank me. NOSH should fare well with their brunch service. The food is fantastic, the atmosphere is casual but upscale and the staff was friendly and attentive. I am looking forward to a return visit to NOSH.